This is a simple guide showing you the easiest ways to get your gold cloth. - Athena Tears we can get from galaxy war 1 vs 1 battles. Below is the NPC you need to go to in order to get the permission slip. The first permission slip is created for your first gold cloth using this method. 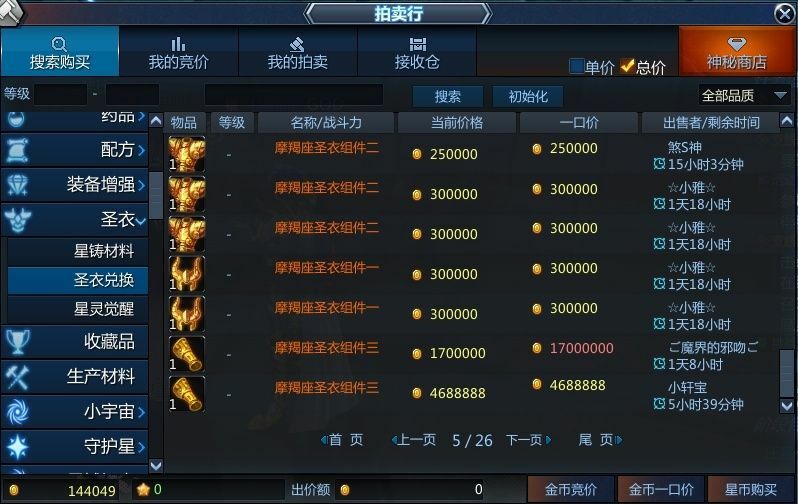 When you make your second cloth (again using this method)the number of gold chips required decreases, but the cost in untradeable money, bronze chips and silver chips increases. 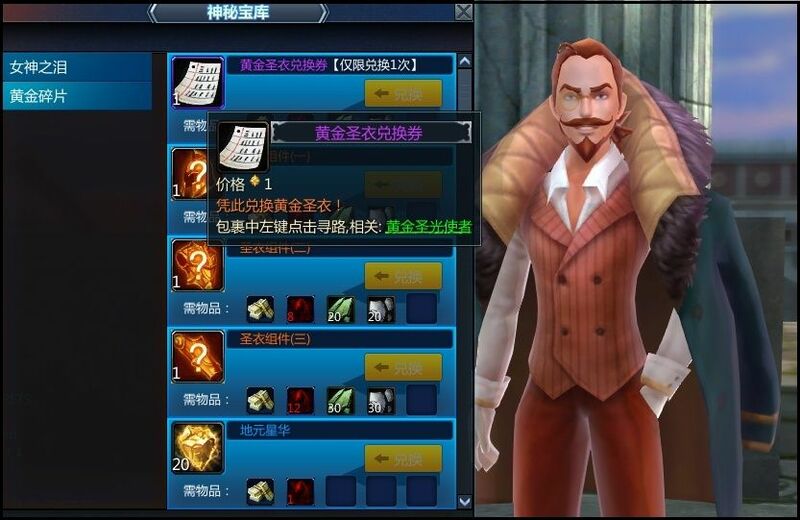 The third permission slip on the list is the one you will use to create your third armor, and all of the other gold armors after that,the gold chip requirement does not decrease again, but the bronze chip, silver chip and untradeable money requirements all increase again. When we will get our golden cloth permission we can finally buy our cloth! You don't need to spend any real money to get a gold cloth! You just need to wait to gain the 100 golded fragments (or 25 Athena's Tears), bronze and silver chips and the untradeable money for a permission slip. Then you just need to save up green fragments (to be used in the cash shop) It takes some time and patience but in the end you will obtain a gold cloth. One way to get a gold cloth is to buy the helmet, torso and arms. You need 1 sets. 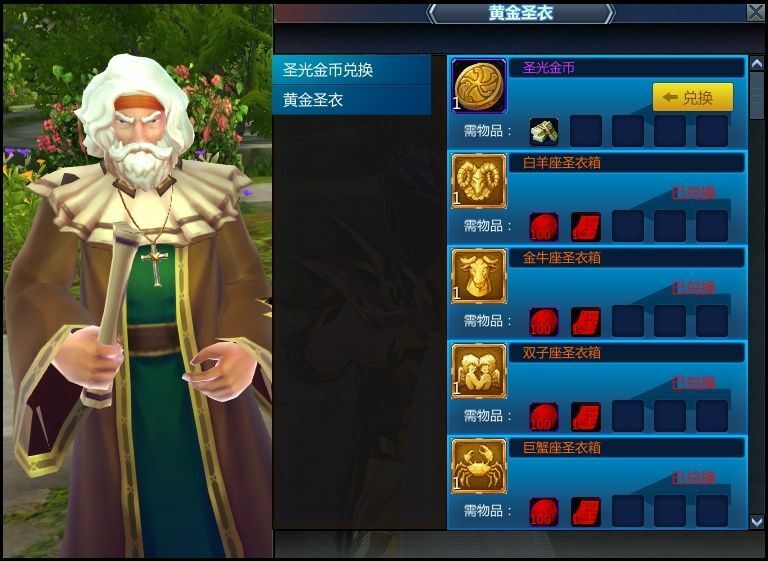 You are able to obtain a full set of your chosen gold cloth via a quest at level 68. The easiest (but expensive) way to get the armor parts is to buy them either in player stalls or in the auction house. The circled item in the image below shows an item that is purchasable in the auction house, the item enables you to craft the helmet of your choice. The same applies for the torso and arms, although you need different items in order to craft them. You'll also find that you can just buy the armor parts you need straight away in the auction house, without having to craft your own. In the image below, the circled NPC is the one you need to go to if you want to craft the armor parts using the items from above. 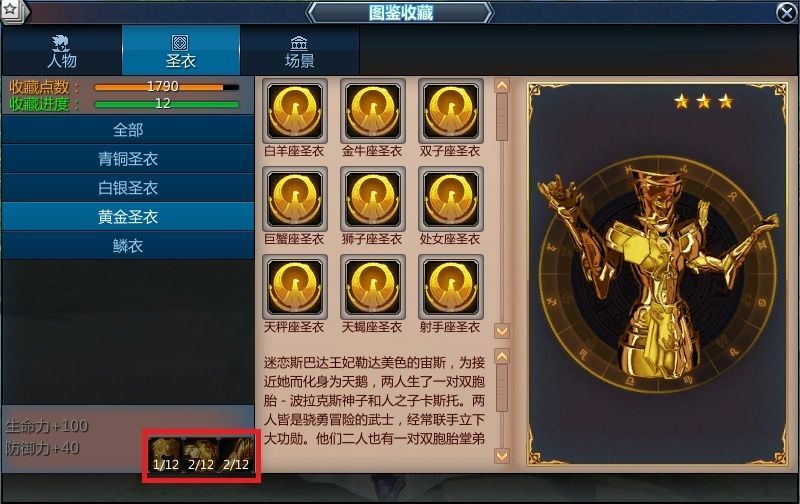 Once you have your full set of armor parts of your chosen golden armor, you need to submit them into the collectors book for the cloth. This guide is based on the knowledge of how me and my husband got our gold cloths. We did NOT have to fufill any sort of faction towards our chosen saint, as far as we are aware. where i can get gold frags? @achille91 wrote: where i can get gold frags? 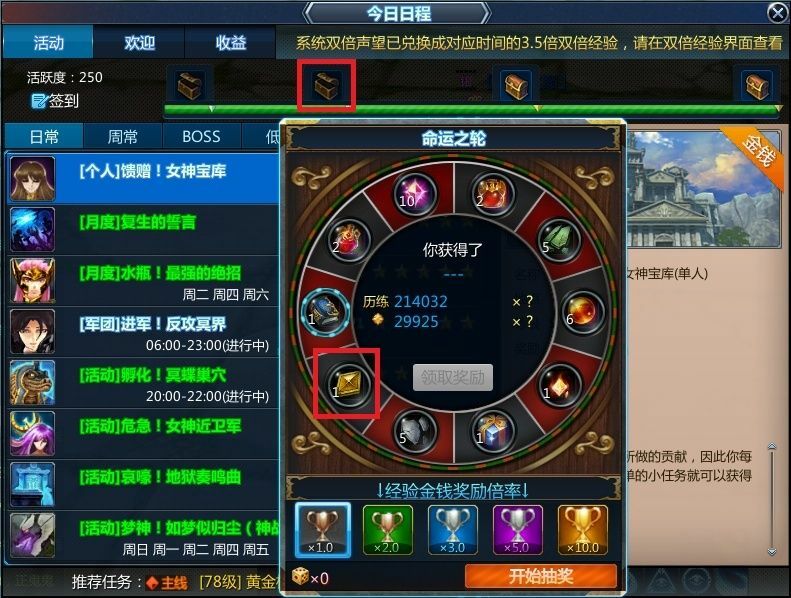 The gold chips can be obtained from a few select dungeons and from the roulette wheel that you get a chance to play after opening the boxes in the window when you press "O". @SonWest wrote: Very nice simple guide! I know for certain that you can get them in this one. Yes, only in that dungeon you can drop gold frag in the boss. But you have to be LV80+ to drop gold frag in there, otherwise you don't drop. It's the very first thing you see when you click on the crafting option on the NPC that you go to , to create the permission slips. GG for this tuto, i have just fly the page, but you talk just 1 method for win the part of armor and gold cloth, but you have a multiple possibility for win this. I can't explain the other method in english, sry. But please talk this ^^. Does anyone know how many times you can get a permission slip from gold chips? I seen a screenshot with the third one at 50 gold chips 300 bronze chips and 300 silver chips, is 3 all you can get or can you get more? @saber60069 wrote: Does anyone know how many times you can get a permission slip from gold chips? I seen a screenshot with the third one at 50 gold chips 300 bronze chips and 300 silver chips, is 3 all you can get or can you get more? Yup. ^_^ it'll just take a while, that's all. So Gold Cloths are obtainable to the general player? Lot's of people said here it's impossible. Is this outdated? Yes it is outdated. You don't need to spend real money to get a gold cloth. You just need to wait to gain the 100 gold chips, bronze and silver chips and the untradeable money for a permission slip. Then just save up green coins (to be used in the cash shop) to buy the golden coins to create the armor. It takes some time and patience but yeah, most people can get a gold armor. Aww I been using the green coins to buy Gold Saint Blood. How many golden coins will I need? Like how many green coins should I have saved up? 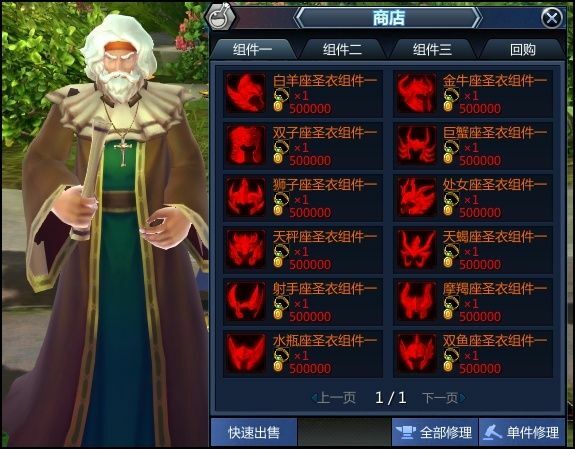 You need 100 gold coins from the cash shop, the coins also drop in some dungeons (only a few, and I forgot which dungeons they drop in ), but if you were to buy all the 100 coins from the cash shop, you'd need 4,000 green tokens. Well you don't have to use green tokens you can just buy them using bound money at where you exchange for the Gold Cloth it's 500k for one. @Syb wrote: Yes it is outdated. You don't need to spend real money to get a gold cloth. You just need to wait to gain the 100 gold chips, bronze and silver chips and the untradeable money for a permission slip. Then just save up green coins (to be used in the cash shop) to buy the golden coins to create the armor. It takes some time and patience but yeah, most people can get a gold armor. Can you show small pictures on them, I mean on the chips...? And can somebody update this whole thread with that info... I was honestly going for the set without knowing about this easier way, and one more question... those 4500 green coins... do they re charge every month after you use them? The green tokens do not recharge every month as far as I am aware. You can get them from a girl who turns up in Sanctuary, she is normally near the NPC who hands out the daily 1/6 quest OR she will be standing near the class change NPC. You can also get green tokens from completing the green token quests. To access these quests, click on the exclamation mark (!) next to the map.